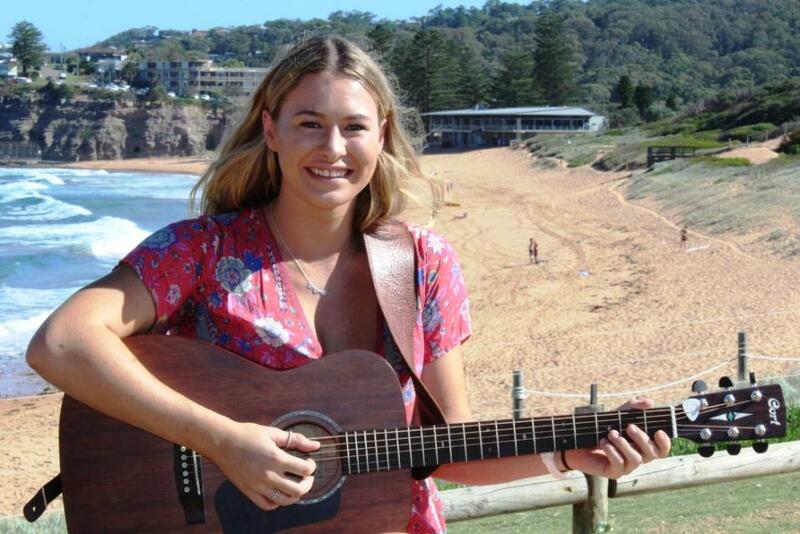 Avalon Beach songstress Lara Duncan is a singer and performer who regularly gigs around Sydney. Lara Duncan has grown up performing on stage dancing, singing and acting. After receiving a Band Six for Music 1 in her HSC in 2016, this Barrenjoey High School student was offered a scholarship to study her Diploma of Musical Theatre at Brent Street for 2017. This year, she is planning to pursue her passion for country music as she realised how much she loves the story telling aspect to music and the way you can transport, not only people, but yourself to another world when you sing. This 18 year old has completed her Diploma of Musical Theatre at Brent Street and is a CMAA Academy of Country Music Graduate. The genres of music she specialises in are Indie, Folk and Country. A strong smooth voice and great skills on guitar are complimented by not only being able to sing other's songs but writing her own. This week a small insight into a young woman with great gifts and lots of passion. I was born in Sydney during March of 1999. I grew up in Bilgola and Avalon. What did you do for fun while growing up? I have always been a dancer. I started dancing when I was 2 at Lamont Dance and Theatre. I also started surfing when I was 4 with my Dad, and we still go out surfing all the time. What was the first song you heard? I unfortunately can’t pinpoint an exact song because I’ve had music playing all around my house ever since I can remember! I feel extremely lucky because music has always been a huge part of my family’s life. Mum and Dad have brought my family up on Bernard Fanning, Paul Kelly, INXS, Stevie Wonder and Crowded House and these albums are playing on the speakers on repeat. The first song I sang was at The Avalon Public School Talent Quest where I sang Love Song by Sara Bareilles, and I think that was a moment that made me realise that I could sing and maybe do this in the future. My family and I have a caravan and we take it away any chance we get, and every year at Christmas and New Year we go Merry Beach on Bawley Point. The first year we went there was 2012 and across the little street in the caravan park there was a family in their caravan who we are now really close with. They would blast the country greats like Alan Jackson, Lee Kernaghan and Slim Dusty every single day and suggested I started learning some. I came back the next year with my guitar and I had fallen in love with it. The CMAA Senior Academy Of Country Music and were part of Kevin Bennett's group - how did you get to be part of this and what did it involve? Getting accepted into the Academy involved a 3 page application form as well as sending in a song you had written and recorded along with the lyrics. The Academy is a two week intensive singing and songwriting course that includes one professional co-write which was absolutely amazing because I was lucky enough to write with Ashleigh Dallas who is a two time Golden Guitar winner. Being part of Kevin Bennett's group was such an incredible experience as he is so knowledgeable and humble and I felt like I learnt not only from him but everyone in the group as well. It was the best opportunity to make connections with people in the industry but what I really enjoyed was that we also learnt about the business aspect to music with Fanny Lumsden and Amber Lawrence. The CMAA Graduate's concert at the 2018 Tamworth Country Music Festival, what did that involve and what did you sing? The graduate concert was held at the Wests Leagues Club which was awesome to begin with because country royalty had played on that stage before. It was an amazing show too, because there were 30 up and coming country musicians all performing original work which was the first year that everyone performed songs they had written. I sang a song that I co-wrote with Ashleigh Dallas called ‘Catching Waves’ which is possibly my favourite song I’ve written because it’s about this bond that Dad and I have when we’re surfing, which is something that is really important to me. After the Graduates concert, we also got to perform in front of over 7000 people at Toyota Park for the Opening Concert of the Tamworth Country Music Festival which was amazing! 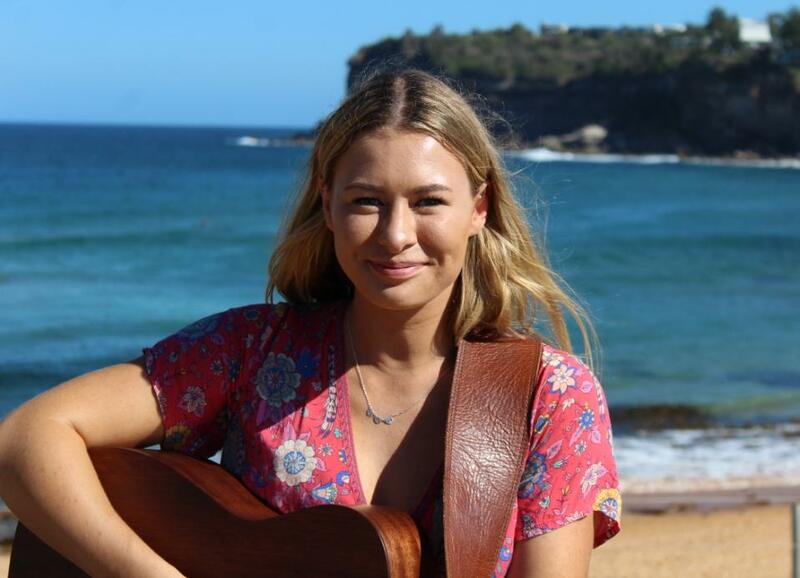 Lara Duncan From Avalon Beach NSW at the CMAA Senior Academy Of Country Music graduate's concert 2018. The students were tutored by well established artists in Australian Country Music. Lara Duncan was part of team Kevin Bennett. So you write your own compositions? Yes I do! I started when I was in year 10 at Barrenjoey High School with John Stone as my teacher. For me, songwriting has always been really therapeutic because I’m not great at talking about how I’m feeling but I can write it in a song and sing about it. Are you available for events, and if so, how do people get in contact with you? Yes definitely! I love doing events because I get to know more of the locals in my area! People can contact me on my facebook page at Lara Duncan Music or email at laraannduncan@gmail.com. Who have been your main influences in music? Musicians who have influenced me and my songwriting include Amber Lawrence as she’s a Sydney beach girl who has gone and made a huge impact within the genre and has shown that you don’t have to be from the country to sing country music, as well as Kelsea Ballerini as I love her writing style. I also love The Mcclymonts and how they are merging the pop sounds with their country roots. Making a living out of music isn’t easy – do you do other work, music focused, to fill the gaps? Yes!! As much as I love music, I couldn’t live off it at this stage. I’m really lucky because I love my other job which is a dance teacher. I teach at three different schools on the Northern Beaches, Lamont Dance and Theatre, Studio K Dance and Barrenjoey High School. My kids continue to inspire me every time I teach them with their improvement and dedication, and they are all so supportive of my music which is really beautiful. What are your aspirations for your music – where do you want to take it to? I would love to be able to share my stories with others and be able to make a living off it. I have a soft spot for North Avalon Beach because that is where I have so many amazing memories and have grown up. It’s also right next to my old high school, so it just feels like home. I think that every day is a new day so I always try and wake up positively and approach every task. Everyone's got a pal that they surf with and it just so happens, mine is my Dad! Born out of a New Year’s Eve road trip and campfire sing-along, Tinman is a group of friends who make beautiful sounds. They are folkie, acoustic dreamy pop inspired over many glasses of wine. Infused with the unusual voicings of mandolin, cigar box guitar, piano accordion, ukulele and some (seriously) dreamy vocals, the seductive harmonies of Tinman linger all around you, telling you stories of Clementine’s demise, east coast road trips, bushland explorations and riverside camp spots. With origins in Melbourne bands DASH and IRIS, the quartet is a dream combination that come together to create an electric live performance. Come alongside these storytellers and magic weavers and be transported for a little while…. In 2016, Mitch appeared on the national TV show "The Voice Au" making the Semi-Finals under Ronan Keating's guidance. On from that, Mitch has independently released his debut single ‘Scar’, followed by ‘Letter To You’. Both of which come from his EP ‘Break & The Barrel’. Scar reached No.4 on the iTunes singer/songwriter charts and has passed 380,000 streams on Spotify. Similarly, ‘Letter To You’ climbed it’s way to No. 17. Mitch is a wonderful story teller, who wears his heart on his sleeve and offers a raw and soulful performance. Adding to that his endearing personality and the listener is every bit willing to be taken on a beautiful, emotional and very personal journey with him. From the Northern Beaches of Sydney, Lara Duncan started singing, dancing and surfing with her Dad at age 4. Fast forward 15 years, Lara is still dancing and surfing but has also successfully applied and graduated from the CMAA Senior Academy of Country Music where she was given the opportunity to perform at Tamworth Country Music Festival Opening Concert on the Toyota main stage and Tamworth Wests Leagues. She also got the privilege to perform one of her favourite Tom Petty songs, ‘Won’t Back Down’ with The Bushwackers at their Beach Party concert at The Longyard.